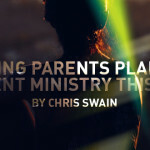 Ministry to parents as a part of student ministry is not a new idea, but it is something that is gaining more attention, and rightfully so. 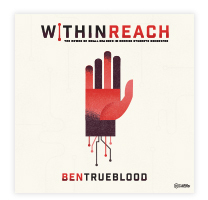 It is an essential part of any effective student ministry, but there are many who are apprehensive about engaging in ministry to parents. 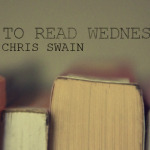 Why would a student pastor be apprehensive about parent ministry? Maybe it is a young student pastor and parents seem to be skeptical of his ability to lead to begin with. 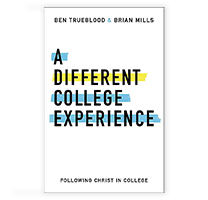 It could be that the student pastor begins parent ministry, realizes that he doesn’t have all the answers and decides to keep things surface level instead of fully committing. For some it could even be that the student pastor wants to be the spiritual hero for those students and is afraid the spotlight will shift to the parents. 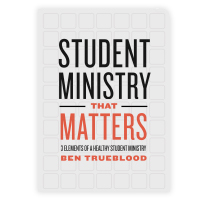 Others might count the number of hours in their week and realize that to do parent ministry effectively it would take time away from the students, so they think the choice is clear: student ministry is about the students. There are probably many more reasons, but the fact remains that if we are going to effectively make disciples of the next generation we have to do a better job with parent ministry. Something that young student pastors aren’t fond of hearing is that they are too young to really know and lead in certain situations. As a young student pastor I thought this was ridiculous. I felt like I was being sold short of what God had called me to and what He was equipping me for. What I have come to realize looking back is that I was ill-equipped to deal with some of those very things. Did God call me to what I was doing? Yes. Was He equipping me to accomplish them? Yes. But it is also true that experience is invaluable and I was unproven and immature in ministry, as we all are when we start. The danger for some is to develop a chip on your shoulder and try to prove that you can do it, even though you are young and inexperienced. Instead of falling to that temptation, find some Jesus-loving parents in the ministry and spend a lot of time with them: get to know them, develop friendships with them, use them as a sounding board on issues that deep down inside you know you are ill-equipped to deal with. Those issues are there, swallow your pride and reach out. It will save you a lot of heartache in the end. I would love to hear from you. How has inexperience affected you in the area of parent ministry and how were you able to overcome it?